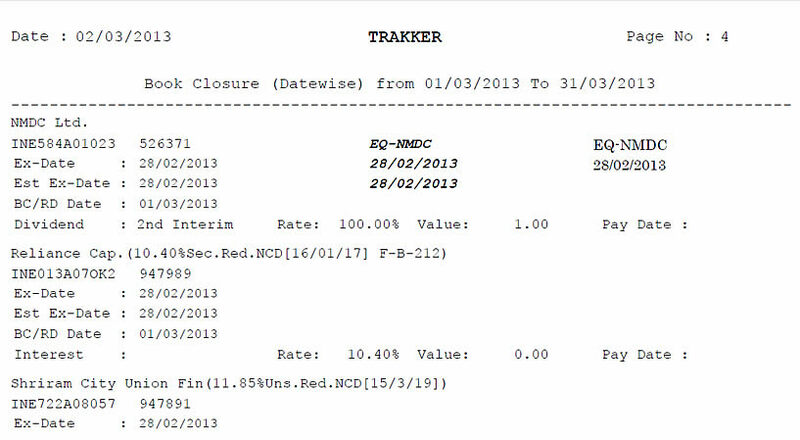 TRAKKER - Making Corporate Actions a child's play. In a world where information technology plays a catalytic role in storing and processing information, you require a Ready Reckoner, a Reliable Repository to keep you abreast with the events of securities listed on the Bombay Stock Exchange (BSE) and National Stock Exchange (NSE). Recognising this need, BSPL developed TRAKKER, a multi-user information vending tool that brings you the latest in new listings, book closures, name changes, non pari passu shares, further issues, prices..... You name it, TRAKKER has it. 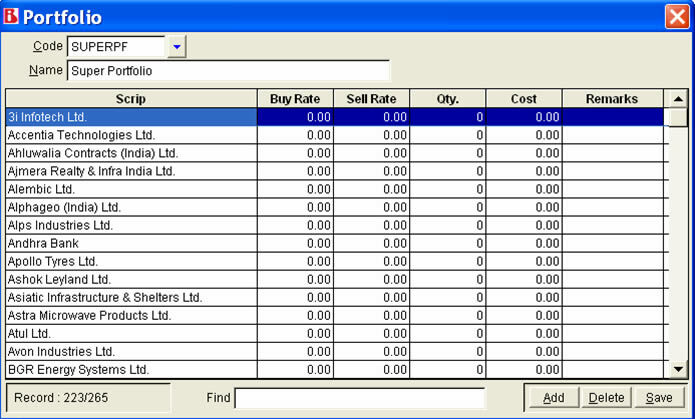 This user-friendly tool offers non-price and price information for shares, debentures, warrants etc. at your fingertips. 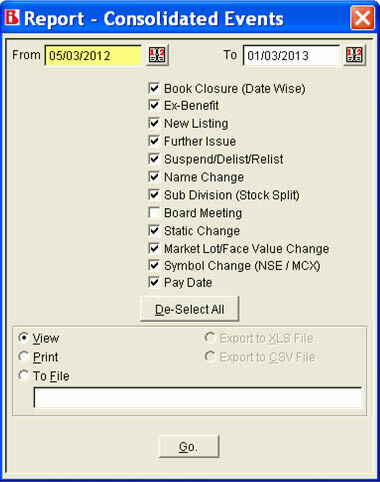 Details about book closures can be availed of well in advance of the impending date. Be it, rights, bonus, dividend, take-overs, mergers, debenture conversions, redemption, warrant exchanges, ex-dates and much more. About the past, present and future as well. 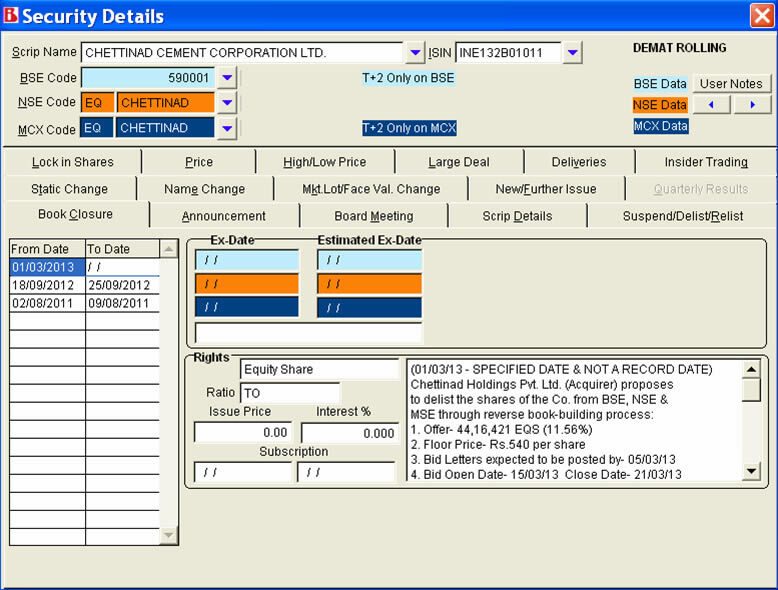 You can view this information or get the reports printed chronologically, alphabetically or even portfolio-wise. The choice is yours. 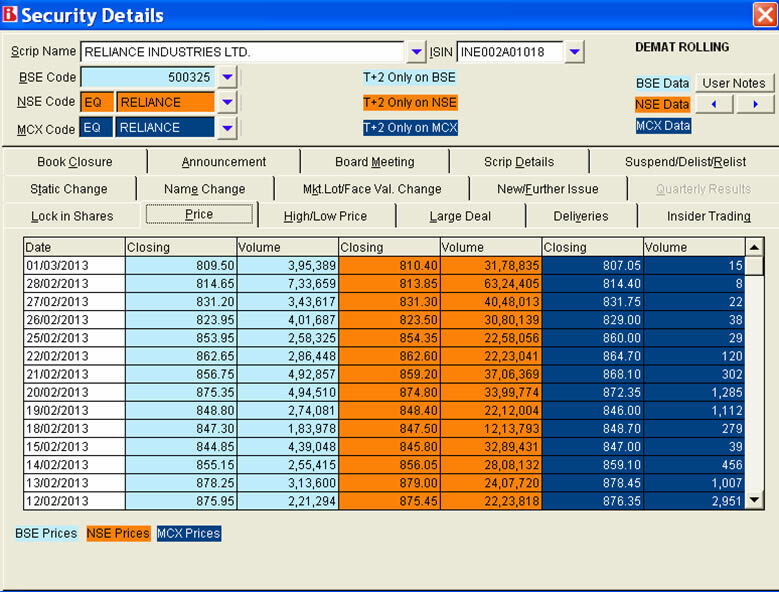 BSE, NSE and MCX listed companies. Book Closure and Record date. 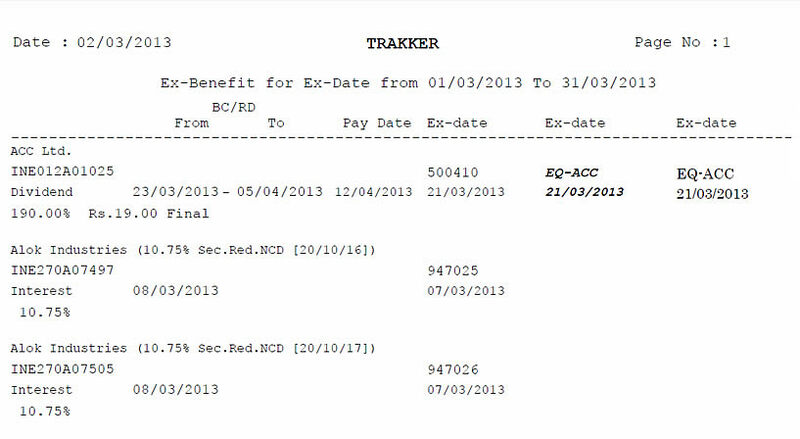 Dividend, Rights, Bonus with Ex-dates. 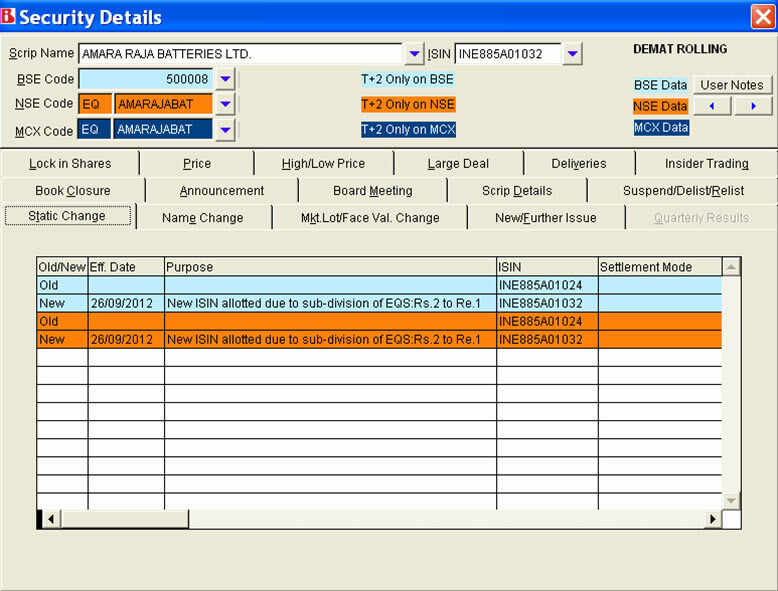 Purchase Offer, Takeover, Buyback, Amalgamation and De-merger. Classification of Trade to Trade & Normal Settlement. Name and Face Value Changes. Addresses of Registered Office and Transfer Agents. FII and Mutual fund Investment Trend. 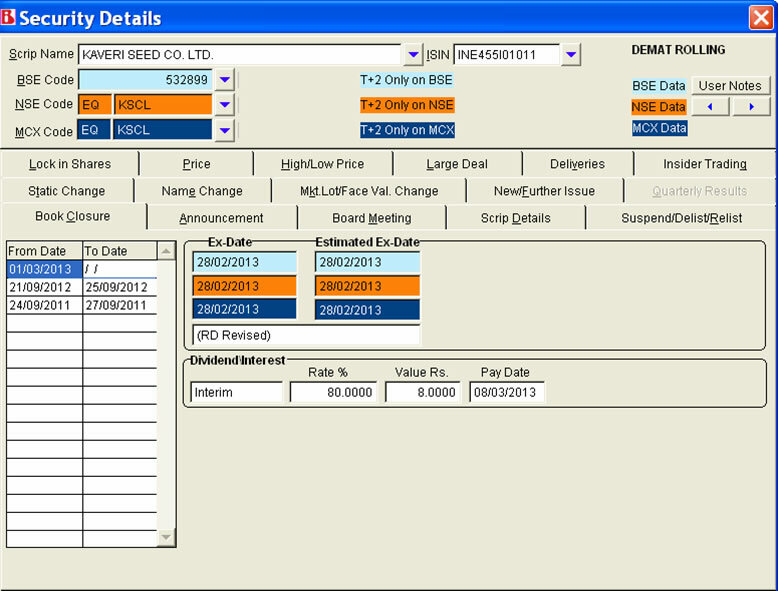 Rolling PRICE history of 13 months with several options of inquiry and reporting. Apart from BSE, NSE & MCX information is collected from over 20 independent sources making the information more reliable and faster. Never miss an important date. 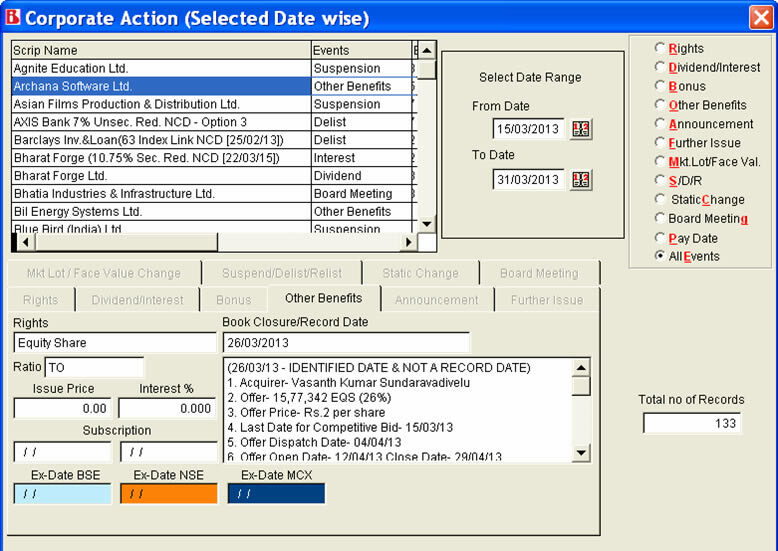 Calendar functionality to keep track of upcoming corporate actions. 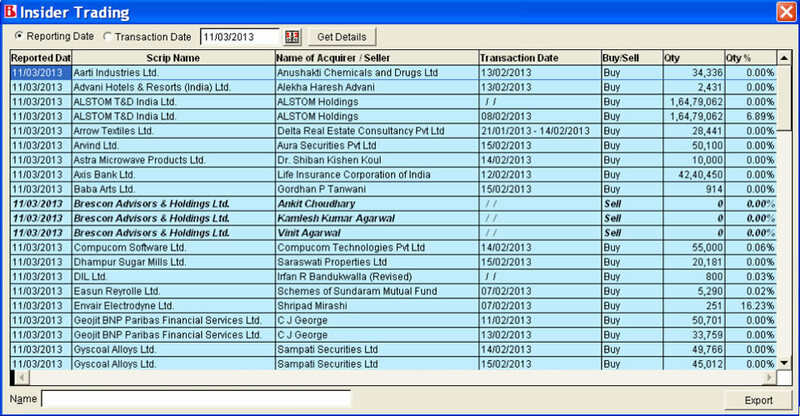 Retrieve information for user defined Portfolios. 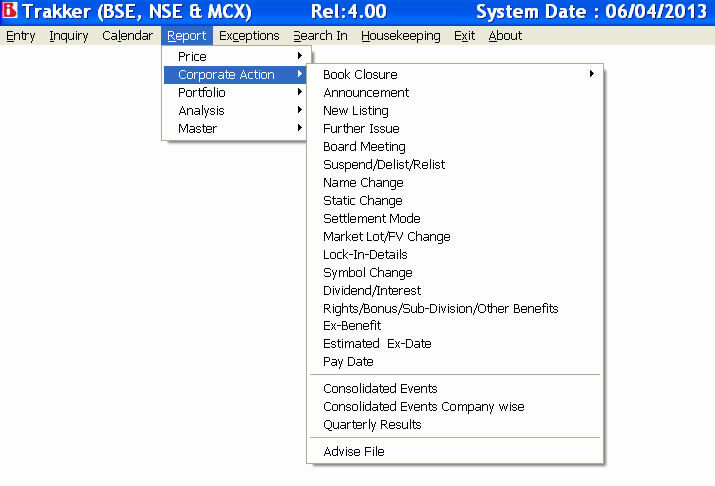 Detailed classification and in depth information of corporate actions. Multi-User system for Unlimited users. 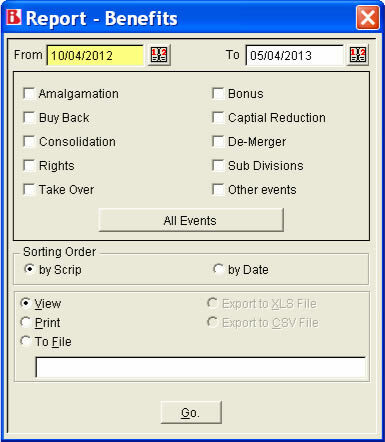 Consolidated report for all types of Corporate Actions. Portfolio Performance vis-a-vis benchmark indices.